2019 Session 1: Juniors Summer Camp! 2019 Session 2: Juniors Summer Camp! 2019 Session 3: Juniors Summer Camp! 2019 Session 4: Juniors Summer Camp! 2019 Session 5: Juniors Summer Camp! 2019 Session 6: Juniors Summer Camp! 2019 Session 7: Juniors Summer Camp! 2019 Session 8: Juniors Summer Camp! 2019 Session 9: Juniors Summer Camp! 2019 Session 10: Juniors Summer Camp! *Discount price in shown immediately upon registering until March 1st. If there is a financial need, DSC now offers a scholarship. More information is in the Camp FAQ tab. Adventure and Performance Camps: All Skill Levels welcome! Youth of all ages and skill levels will get to experience the fun and joy of sailing this summer. Adventure Camp is perfect for instilling the love of sailing, while our Performance Spinnaker Camp option is a great step up for those who are ready to drive the boats without a coach aboard. Our J/22s and Sonars typically hold 4 campers with 1 instructor aboard each boat. Novices and Beginners spend the majority of their time learning the basics of sailing through an experiential environment. Intermediate sailors spend more time honing their sailing skills and sailing knowledge through more in-depth chalk talks and more focused sailing on the J/22s. And once your child is driving without a coach aboard, it's time for the Performance Spinnaker option (see below). 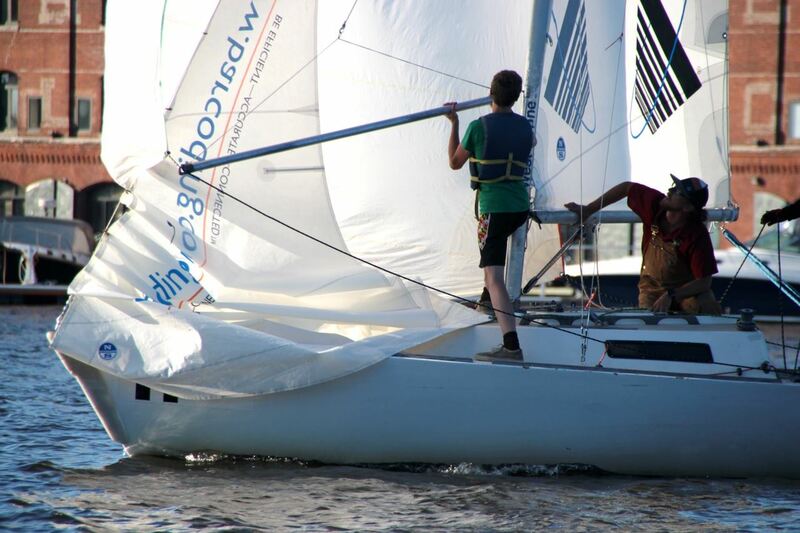 Performance Keelboat and Spinnaker Camp - Limited Spots! Sailors must be at least 12 years of age who can drive and crew a J/22 without a coach aboard. If you are unsure of your child's preparation for this program, we strongly recommend talking with one of our staff before registering for this program. All staff for this course hold US Sailing Level 1 and/or Basic Keelboat Instructor Certifications. The instructors will combine hands-on instruction with powerboat-coaching support to provide campers with a unique, rewarding educational experience. 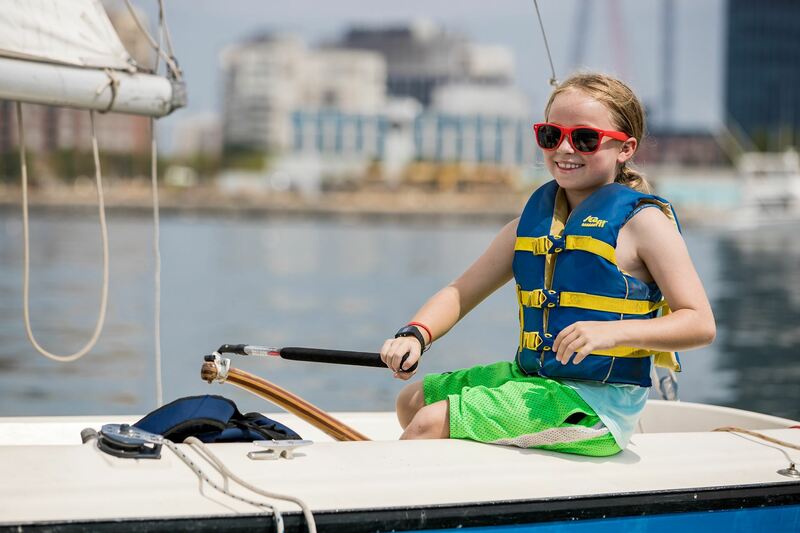 Campers will eat lunch and enjoy the same fun activities of the regular camp (such as "BOP Day"), but more emphasis will be placed on the study of performance-oriented sailing. Campers signing up for this course must be self-sufficient and ready to make decisions without a coach aboard. To register, click on your desired camp week (above or through our CALENDAR and select "Performance Spinnaker Camp" when registering.